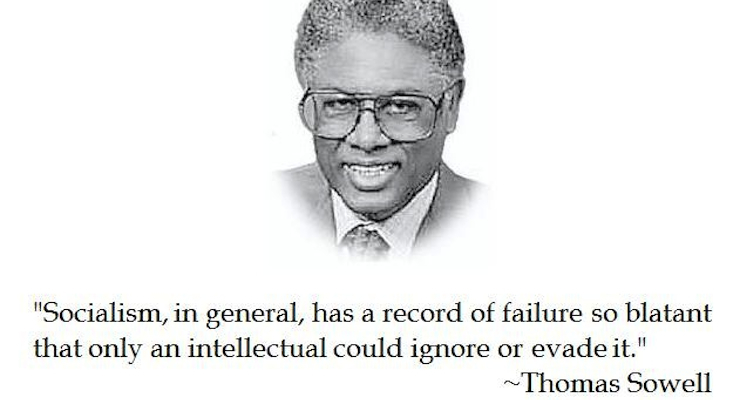 Last night we learned of another celebrity loss in 2016: Thomas Sowell. He didn’t pass away, but he did announce that he’d be retiring from his column at age 86, Throughout his career, the man has published over 30 books and thousands of op-eds. I (Matt Palumbo) personally owe my interest in economics to Dr. Sowell. Had it not been for him, I likely would’ve followed my initial plan of entering college as a Political Science major (yikes). When I was a junior in high school I was shopping for Christmas presents for my father at the local Barnes & Noble, and Sowell’s “Dismantling America” was among the books I picked up for him, having had it recommended to me. Sowell may not be producing any new content, but he’s left behind more than enough writing to keep us preoccupied in the years to come. Very sorry to read this news -though the man certainly deserves a retirement…-whenever he chooses. America could sorely use this man to help run our nations affairs. If it were up to me, I would interview him and ask him where he could do the most good, -and run with that. God speed sir, enjoy your retirement. And thank you.